When Should I Re-Insulate my Home? If your energy bills have been higher than normal or there are drafts and uneven spots inside your house, the energy efficiency of your home isn’t as high as it could be. Many times, this can indicate insufficient amounts of insulation. Do you need to install insulation in your home? Many homeowners are unsure when it’s time to re-insulate. Talking to an insulation professional is your best bet. In general, older homes tend to not have much insulation, so you most likely need to re-insulate if your home was built in the 1970s or before (though this isn’t always the case). The age of your home isn’t the only way to tell if you need to re-insulate, however. There are other signs that may indicate your home doesn’t have enough insulation. There are more proactive ways to tell if you need more home insulation—consulting an insulation company! Insulation professionals will be able to tell you if your home has enough insulation and what areas need to be re-insulated. Often, it’s the attic, but many times, walls, basements and crawl spaces aren’t sufficiently insulated. 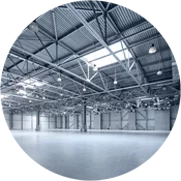 Need Insulation Contractors in Chicagoland? Do you live in the Chicago area? 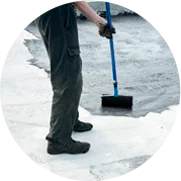 ThermaSeal / Lakeside Insulation can help you with your insulation needs! 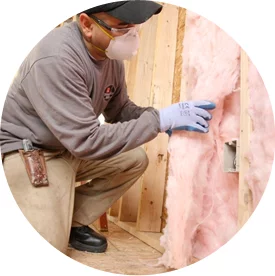 Our professionals can help you determine what insulation you need and where you need to re-insulate. Contact us today to learn more about our services or if you’re ready for an initial consultation.